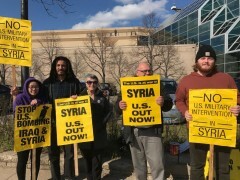 MN protests growing U.S. wars at Sen. Klobuchar’s office | Fight Back! Minneapolis, MN - 75 people protested in front of U.S. 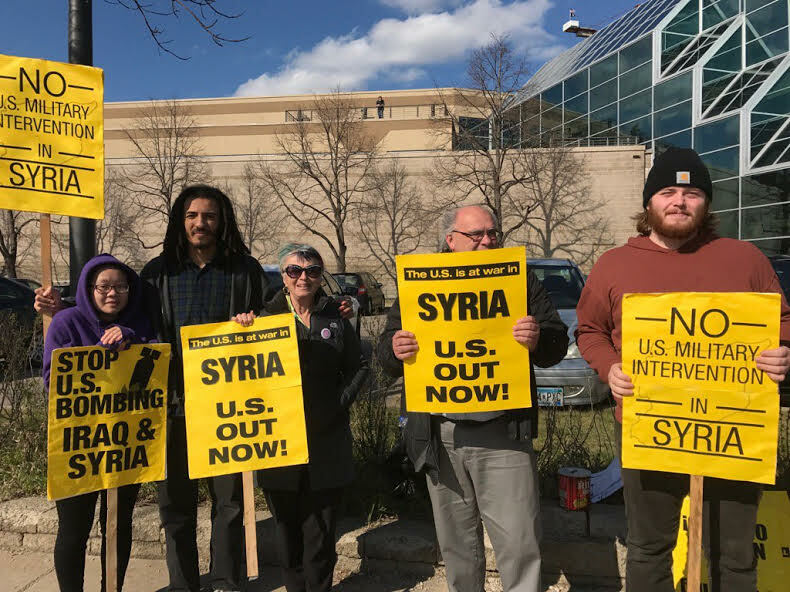 Senator Amy Klobuchar’s office near the intersection of Washington Avenue and Interstate 35W in Minneapolis to denounce Trump’s increasing attacks on Syria, Iraq, and the threats against North Korea. The protest came days after the Trump administration launched air strikes against Syrian military air base. The protest was initiated by the Minnesota Peace Action Coalition (MPAC).